Billy Y. Aurek is a character in VayneLine that was part of the original four that stole Blue Dragoon. He was originally born on Earth before the Sky Riots and due to a time anomaly, ended up ‘in the future’ many many years later. He is cultured, refined and represents a ‘Southern Gentlemen’ type of character. Originally married to a woman named Nicole prior to the time distortion, he has a natural way with woman that his good friend Eirik has a hard time emulating. Despite being good with them, he does not pursue them to the same extent Eirik does. Billy vastly prefers things to be ‘natural’ and is appalled at AGE technology. In this regard, he constantly argues with Fade who thinks it is quite ‘natural’ in her own way. He often ends up engaged in dialogue with Roza as well as she is one of the other ones on the crew who is well-read. Billy thinks it is ironic because he fully admits Roza is smart, but does not think she grasps the essence of the writing. Despite being well-read he is not inclined to philosophic openess at all, that is to say he has little desire to actually change his beliefs. In that regard he is just as stubborn as Fade who they argue endlessly. Like the other original four, he dislikes the Aelisha. His reasoning stems from seeing how ‘unnatural’ the human race has become. Further, he views us as nothing more than a 3rd world country America used as military proxies during his lifetime, and the irony of it now being his whole race is hard to swallow. Billy is not what would be called aggressive at all, but he does not back down from conflict in the slightest. Many early skirmishes were due to Billy standing his ground against others. His primary fighting style is using a single escrima stick and a tonfa in his other hand. He views it as very defensive and almost like a shield while his escrima is the ‘club’. For ranged weapons he prefers a collapsible machine gun that shoots solid rounds. Despite many differences with Eirik, they are very good friends. 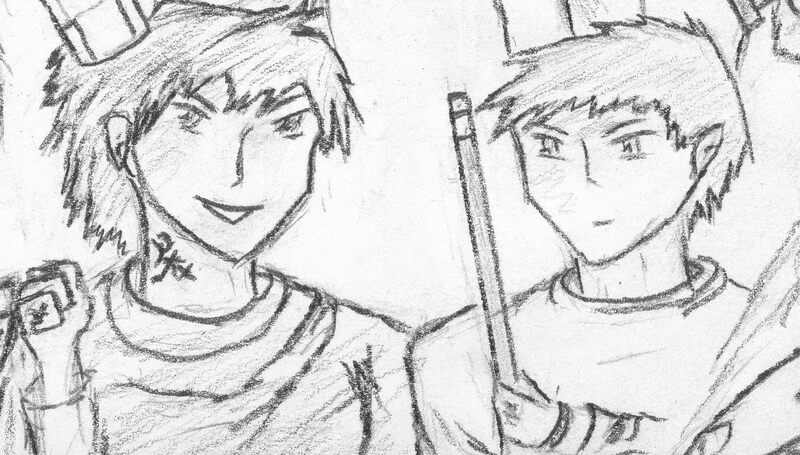 They act as counter balances to each other, Billy is the serious one whereas Eirik is impulsive and reckless. In regards to Fade, they are close, bordering on a crush, this is despite their surface level arguing. This is in contrast to Roza, who though he enjoys their banter, views her as shallow though because of her sexual advances towards everyone.